2017 was yet another successful year for BioGaia. 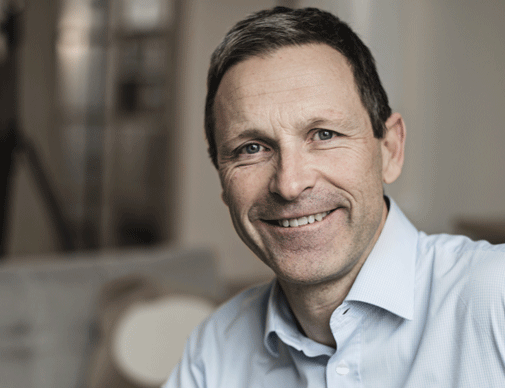 With growth of 15 percent after foreign exchange effects, we were able to boost our sales by SEK 80 million and achieve an annual turnover of SEK 615 million. This continues our excellent trend of expanding our share of a market with anticipated annual growth of approximately 7 percent. In our most important region, EMEA, we grew by 5 percent. This despite our sales to Italy being markedly lower than previously due to our partner Recordati’s acquisition of our former distributor Italchimici. It is therefore gratifying that, since the fourth quarter of 2017, Recordati has been ordering our products again and we can therefore expect a return to normal Italian volumes in 2018. Apart from Italy, our sales in EMEA developed favorably and I am particularly pleased with the positive trend in Eastern Europe, Finland, Sweden, Germany, France and Turkey. In the Asia Pacific region we grew by 72 percent and it was very pleasing to see the positive development in Japan following the agreements we signed with Kabaya Ohayo Holding Inc. in December 2016. In addition to Japan, our sales to Hong Kong, South Korea and China also increased, and with the distribution network we have now built up in Asia Pacific I expect our positive development to continue in 2018. In the Americas region we grew by 23 percent. Sales here are primarily driven by our partner Aché in Brazil which, following an inventory build-up that affected sales in 2016, is now ordering according to expectations. Mexico and Canada are also performing well. In the important US market, we signed new distribution agreements and intensified cooperation with our key partners. I expect to start seeing the results of this work in 2018. With regard to our global partner Nestlé, the trend of them buying fewer cultures for infant formula continued at the same time as our royalties from milk powder for children over the age of one increased. We intensified our interaction with Nestlé during the year with the aim of finding new opportunities for cooperation as older agreements expire. Operating profit exceeded SEK 200 million for the first time and amounted to SEK 234 million. This is an increase of 17 percent which provides an operating margin of 38 percent. Our operating expenses rose by 17 percent in 2017. This increase was driven by R&D activities, marketing initiatives and personnel expenses in line with our strategic plan. The key to our success is our business model, where BioGaia is the hub in an international network within research, production and distribution. In the autumn of 2016 and in order to develop and strengthen the business model, we launched a strategy based on five cornerstones: Growth, Customer Focus, Operational Efficiency, Innovation and Sustainability. A number of initiatives were then started within each area which shaped our efforts in 2017. For Growth, the main focus has been on the expansion of our existing product portfolio both by signing agreements with new distributors and by launching additional products with existing distributors. Today our products are sold in 100 countries. In addition, our business development team has continued its collaboration with partners outside our current core business with the aim of being able to launch products in new areas for BioGaia in the future. As regards Customer Focus, our aim to get closer to our distributors has resulted in the opening of a new Americas office in Miami, plans for an Asia Pacific office in Singapore, and intensified collaboration with a small number of strategic partners. We have also laid the foundation for a totally new educational platform, BioGaia Academy, where we will train doctors from around the world and thereby increase the number of well-educated opinion leaders. In Operational Efficiency, we have reviewed our IT infrastructure and started implementation of a new ERP system. We have also strengthened the organization with regard to regulatory affairs, quality and purchasing. For Innovation, we have worked on developing our clinical study program as well as our launch pipeline for the short, medium and long term. At present some sixty studies are underway initiated by us or our research partners. In addition, we have continued our collaboration with the R&D company MetaboGen, where we have a 36 percent holding, started the subsidiary BioGaia Pharma, which will take advantage of opportunities to develop drugs identified in our normal business, and invested in a new laboratory at BioGaia Production in Eslöv, Sweden. Within Sustainability, we have continued our efforts to fight antibiotic resistance. An independent foundation was started during the year that will grant funding to individuals or organizations conducting research or working to spread awareness within this critically important area. We have also created a clearer structure for how to highlight our most important sustainability issues and integrate sustainability initiatives in our operational activities. With the proof at hand, I can conclude that we have been highly successful in combining development initiatives with a focus on sales. I would like to thank our employees who during yet another year have combined hard work with tremendous enthusiasm and thereby contributed both to a fine performance in 2017 and a strong starting position for 2018.